Join COSSA for our monthly Headlines webchat to recap the most important social and behavioral science news from the past month and answer your questions. Stick around for a deep dive discussion on the recently-passed Foundations for Evidence-Based Policymaking Act of 2018 with special guest Nick Hart, Director of the Bipartisan Policy Center’s Evidence Project. Headlines: A monthly look at what’s new and noteworthy in social science policy is a monthly webchat exclusively for COSSA members to learn about the latest policy and funding developments impacting social science research. The COSSA team, joined by periodic special guests, will take you behind the headlines and explain what you need to know. We are excited to offer this interactive space where you can get the policy-related information you need when you need it. Not a member? 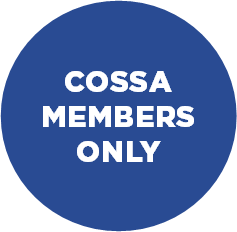 Learn more about how your association or university can join COSSA here.